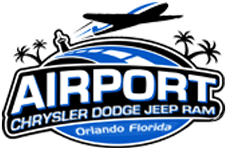 If you're looking for new cars for sale that qualify for the $7,500 federal tax credit*, head to Airport Chrysler Dodge Jeep Ram in Orlando, Florida, to learn all about the 2019 Chrysler Pacifica Hybrid that is now available! Blending convenience features with safety systems and efficiency, this is the competitively priced minivan you've been waiting for. Our Chrysler sales department invites all those who are interested in learning more about this model and the one-time federal tax credit that you may be eligible for, to visit us at any time during our business hours. We're familiar with the entire 2019 Chrysler Pacifica Hybrid lineup, and we look forward to introducing you to the models that complement your lifestyle! Programs you can equip your new minivan with! Our new and used car dealership offers professional financing services so that all those who are interested in a vehicle that can actively protect all occupants while on the road can secure competitive loan terms. Apply for our auto financing services now! Have the best of both powertrain worlds, opt for a 2019 Chrysler Pacifica Hybrid to enjoy both an electric motor and a gasoline engine. This smart new car for sale is able to switch between electric power and hybrid power, depending on driving conditions, providing motorists with the fuel efficiency they crave. 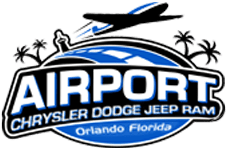 See this vehicle in action today, contact our auto dealer near Kissimmee, FL and request a 2019 Chrysler Pacific Hybrid test drive! The Airport CDJR team member accompanying you on your cruise can review the total driving range of the trim model you're behind the wheel of, as well as any performance specifications you're interested in learning more about. This vehicle utilizes a lithium-ion battery that comes backed by a 10-year/150,000-mile Limited Warranty, or a 10-year/100,000-mile Limited Warranty, depending on the state you live in. The battery boasts regenerative braking that is able to capture energy from the brakes when they are applied, helping to charge your car battery while on the go! The available 240-volt Mopar® charger lets motorists completely charge their 2019 vehicle in just two hours. Here at our new and used Florida Chrysler dealership, we carry a variety of genuine car parts and accessories, so let us know if you're interested in this charger! Don't miss your chance to own an eco-friendly 2019 Chrysler Pacifica Hybrid vehicle, value your trade-in right here on our Airport Chrysler Dodge Jeep Ram website so that you can upgrade with ease. We look forward to going over all the benefits that come from owning one these vehicles and presenting you with a fair auto appraisal that can be applied toward the purchase of one of these minivans! *This incentive is offered by a third party and is subject to change without notice. Consult a tax professional for details and eligibility requirements.